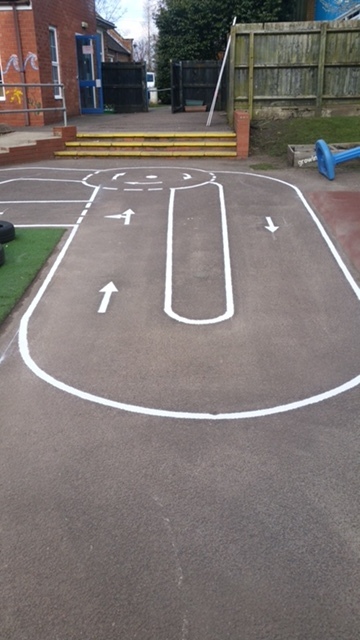 Mini Track Road Markings applied to a tarmac surface using Liparoad Spray Paint. 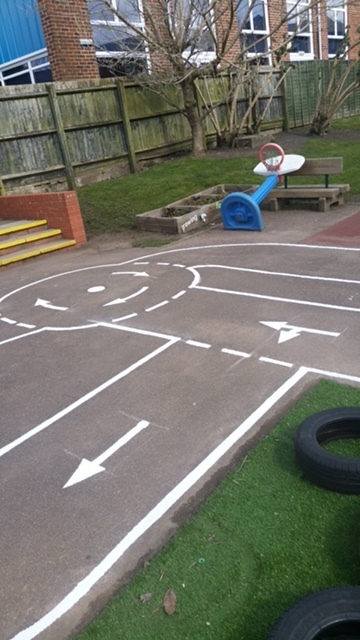 We were approached by one of our regular clients to incorporate a mini roadway into a very small playground area. 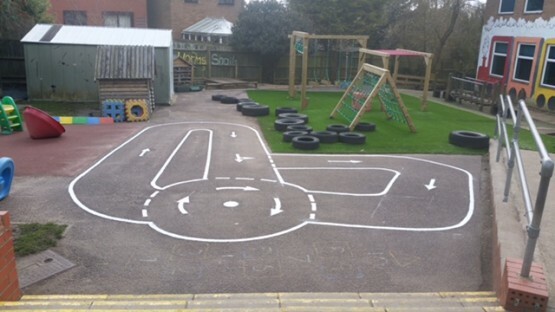 This not only gives the children hours of fun with an exciting race track to play with but can also be used as a valuable learning tool teaching the children road safety.